It’s had several names over the centuries. Native Americans referred to it as Andia-ta-roc-te. James Fenimore Cooper thought that was too difficult to pronounce, so he called it Horicon. Finally, in a stroke of creative genius, Sir William Johnson properly paid homage to King George III and called it Lake George. Spanning 32 miles north to south and surrounded by majestic Adirondack Mountains, Lake George has inspired and awed residents and visitors for centuries. Once such resident was Seneca Ray Stoddard. Based in Glens Falls, NY, Stoddard had a long and storied career as a photographer, writer, cartographer, poet, and lecturer. 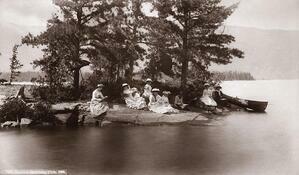 His primary subjects were the Adirondack Mountains and Lake George. In 1977, the Chapman Historical Museum acquired a large collection of Stoddard’s works and the Chapman Stoddard Collection became the museum’s premier collection. A couple years ago, they decided to bring more attention to Stoddard and the collection by publishing a book of his photographs. According to Timothy Weidner, Executive Director, “We thought about reaching out to a wider geography represented in his work and we have thousands of photos, but there’s a really strong affinity for people who have spent time around Lake George and we were confident that demand would be strong with them. 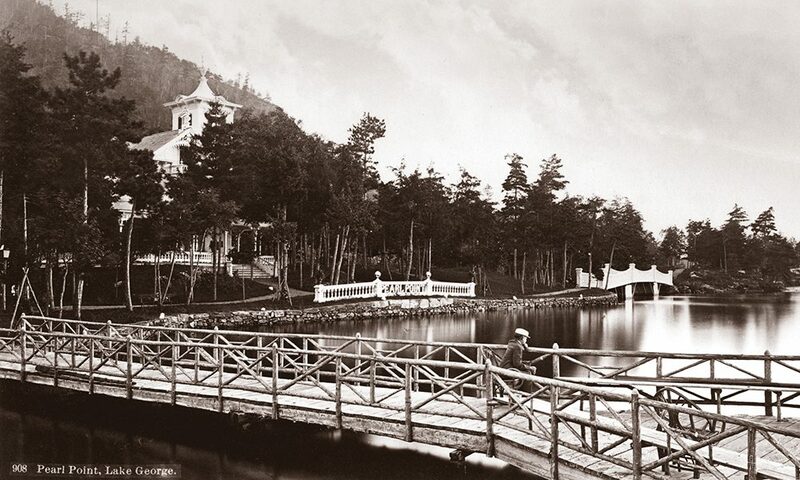 Many books have been written about hotels and attractions around Lake George, and we didn’t want to repeat that.” The museum’s goal was to feature Stoddard’s photography. Though Stoddard is not widely known for his voluminous works and positive contribution to the formation of the Adirondack Park, Weidner had an interest in him prior to joining the Chapman. While a graduate student in Cooperstown, NY, he was looking for an archives project and stumbled upon a rarely-viewed scrapbook from the American Canoe Association. In it were photographs by Stoddard taken in the 1880s. Albumen prints, prominent from 1860 to 1890, often possess a reddish brown tint that fades to yellow over time. It was important to Weidner that he enlist the services of a printer who could use the correct color settings to bring out depth and recreate the original tonal quality with ink on paper. For those who have been to Lake George or spent time in the Adirondacks, Water & Light is a fascinating trip back in time. It’s easy to imagine Seneca Ray Stoddard standing there with his equipment, ready to capture the perfect scene that will only happen once in a lifetime. 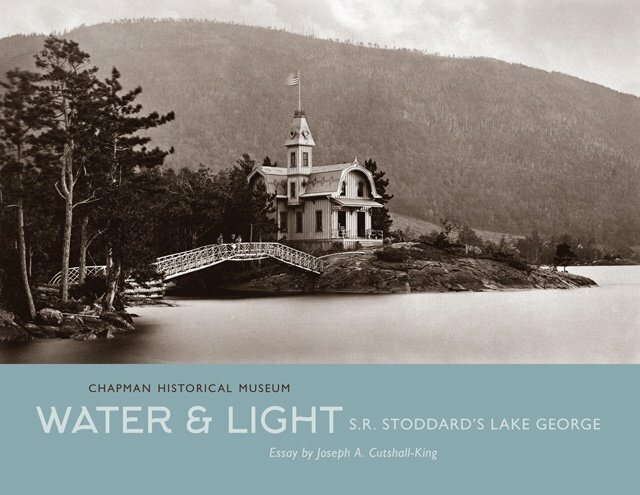 Water & Light is available for purchase in hard and soft cover on the Chapman Historical Museum website, where they also offer Stoddard illustrated maps and books.